The forecast was set to be hot hot hot and it didn’t disappoint. I set off early to second shoot for Kate Hopewell-Smith at Christopher and Anna’s wedding which was going to be an outdoor ceremony set int he gorgeous grounds of Caswell House in Brize Norton, Oxford. As I drove up the long, windy tree lined drive to Caswell House situated amongst beautiful Oxfordshire countryside I knew I was in for a real treat today – it was a quintessentially English affair. I met up with Kate and we wondered though the main entrance of Caswell House and stepped into a fairytale – beautiful lavender lined gardens, climbing roses set amongst old stone walls and the quaint covered area where the ceremony was to take place. After taking a little look around we then wondered back to meet up with the bride. Anna had chosen a short 50’s style dress with layered lace – it was so cute and the bridesmaids dresses were in a similar style with a lovely bold floral design. Anna couldn’t wait to get into her dress – she was helped by her mother, sister and two bridesmaids. She looked so sweet and glowed with happiness. Kate and I left the bridal party to get organised while we ventured off to meet up with the Groom, his Best Man and Ushers. They were in full suites and it was starting to get quite warm but they were all cool and were not worried about the heat. I stayed with the Groom while the guests started to take their seats while Kate headed back to meet the bridal party. We then all waited excitedly. Anna walked in through the barn and out onto the lavender lined path and looked gorgeous. The guests had their sun umbrellas up and fans wafting as the garden heated up but the Bride & Groom seemed lost in each others company. The ceremony was very sweet and after the initial attempt to get the ring on the Brides fingers it all went really well and before we knew it the confetti was being throw to a loud cheers and the Pimms and Champage started to flow as the guests enjoyed their drinks on the lawn and games of croquet and skittles. Kate and I took Chris and Anna off for some couple shots around the private gardens of the house and the amazing barley fields outside. Kate has such a skill in directing couples and makes it so seamless. Chris & Anna looked so in love and the setting was extremely romantic. I was delighted to be second shooting for Kate today as the venue was the stunning Blenheim Palace – a venue that needs not introduction. I met Kate at the gates and we headed over to meet Sarah at the hotel in Woodstock where she was getting ready with her mother and sister. The room was buzzing with activity but Sarah sat cooly by the window having her make-up applied by Cat the amazing make-up artist. Sarah’s dress and accessories were in her mothers room so Kate and I headed upstairs to take a look. Sarah’s dress was just breathtaking with so much detail and all her accessories looked stunning too – we couldn’t wait for Sarah to put it all on. Kate headed off to see the Groom and I headed off to the Palace – the couple had decided to get married in The Orangery inside Blenheim Palace itself which was so exciting. On arrival the room was having the finishing touches put in place and Richard waited nervously at the front while all the guests arrived. The room was simply beautiful and then Sarah entered to a string quartet playing – she looked so happy and relaxed. The service was really heartfelt and they looked so in love. After the service, drinks were served in the courtyard and Kate and I took the newly weds off for a few couple photos in the grounds of the Palace. Kate is one of a few selected wedding photographers for Blenheim Palace and so has some special places to take the couple for some romantic shots – Kate is an inspiration to watch – how she interacts with the couple and how she uses the light. It was the most glorious sunny day, as the sun struck the palace it turned a golden colour. The couple then took to the receiving line and welcomed all their guests before the wedding breakfast. After, Sarah’s mother made a sweet speech then Richard’s father, Richard and his Best Men all delivered very funny speeches which had the guests all laughing. I was delighted to be second shooting for Kate today as I love the Cotswolds and this wedding sounded so beautiful. Jody & Sarah had chosen to get ready at the beautiful Southrop Manon in Southrop, Gloucestershire – a gorgeous cotswold clad building decorating beautifully inside with the service at the sweet little Saxon church also on the grounds overlooking the glorious Gloucestershire countryside and their reception at Thyme Manor itself also on the grounds of this gorgeous estate. I met up with Kate at the Manor house where Sarah was busy with her Bridesmaids getting ready – she was the smiliest bride I have ever seen – filled with joy and excitement – she was just glowing. 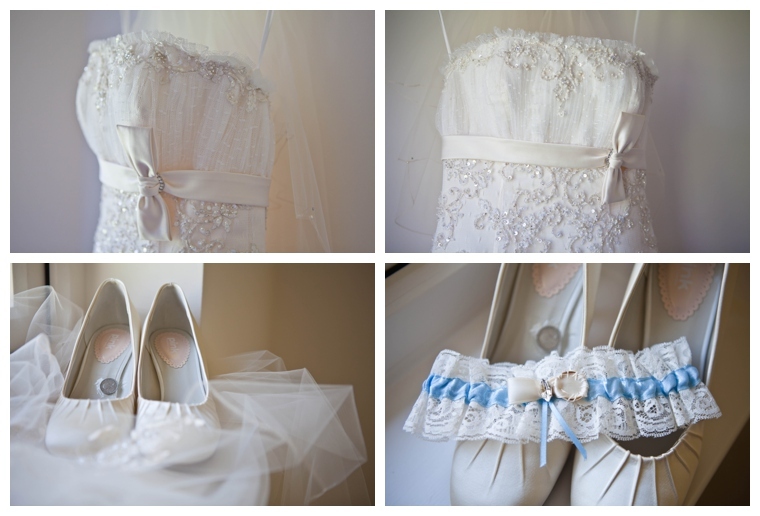 Kate and I took her amazing dress downstairs to photograph along with the shoes, flowers and bridesmaids accessories. I absolutely adored the feminine lace dress with the beautiful pink flower on her dress – it was breathtaking. We then whizzed upstairs where Sarah was ready to get dressed. She spent the whole morning smiling from ear to ear and looked simply beautiful. Kate stayed with the bridal party and I headed over to the church to meet with Jody who was greeting the guests as they arrived at the quaint church. Sarah led by her father and followed by all her bridesmaids made their way up to the quaint little Saxon church and when she entered Jody could hardly contain his emotion. It was very overwhelming. The service was lovely and full of atmosphere and excitement. After the service the newlyweds led the guests to the drinks reception where a string quartet played as they drank champagne. Kate and I took this opportunity to take the couple off for some romantic shots. Kate is such a talented photographer and can see a location and know how to capture it perfectly – she is an inspiration to watch. I was thrilled to be second shooting again for Kate Hopewell-Smith and today I was very excited as the wedding reception was going to be at one of my favourite venues – Old Worleys in Henley. In the morning I met Kate at Bec’s parents house where there was a hub of activity, the Bride was getting hair and make up done and the Bridesmaids were making sure everything was running on time. 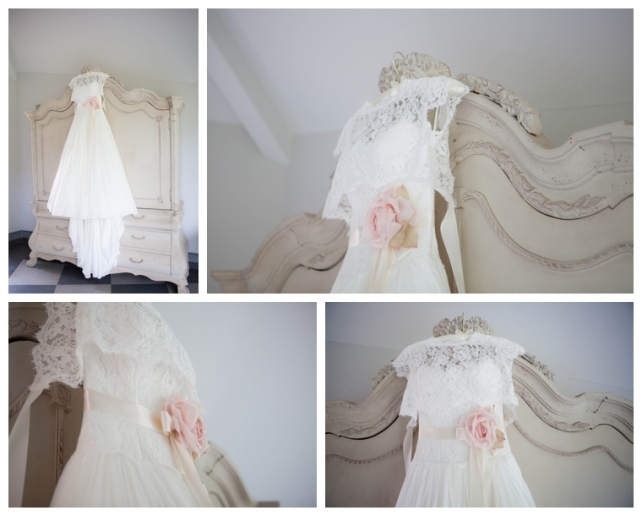 While they were all finishing off their hair and make-up Kate and I took this opportunity to see the dress and take all details shots first – we were blown away when we saw the Sassi Holford dress along with all her gorgeous jewellery. One by one the girls were ready and they came into the room to see the dress – then her mum entered and was moved to tears which nearly set us all off……! Bec looked amazing – it was very Grace Kelly and I loved it. I headed off to the church to meet the Groom, Best Man and Ushers and to photograph the guests arriving on vintage busses. Everyone seemed in high spirits and excited about the day. The church was in Sunninghill, Ascot close to their home and was very beautiful with amazing stain glass windows to the front above the alter which lit up as the sun hit it. All the bridal party arrived with Kate on the fabulous vintage buses – the Bride arrived with her dad and looked radiant, elegant and graceful. As the music started I could feel the tension building but everyone managed to hold it together and the hymns raised the roof. After the ceremony the guests climbed back onto the vintage busses and headed onto the reception at Old Wosely Farm in Henley. On arrival to the venue you are struck by the rolling hills and stunning countryside. The marquee was set up on the hill with nothing but views from every angle. The marquee was open at the front to allow the feeling of being outside in a field in the middle of nowhere and the roof was glass to allow the light in and the amazing colour of the sky. The tables were delicately decorated and a huge glass mirror was used as the table plan with all the guests names written on it. The cake was a layered cream and berry fruits which looked delicious – it couldn’t be more perfect even if you had dreamt it….. The happy couple arrived and the guests enjoyed drinks outside in the glorious sunshine. Kate and I took the couple off for some photos in the long grasses and their really sweet dog called Winnie joined us too. The house is privately owned and we were kindly allowed to use part of their lovely rose garden for some of the photos which was a delight – the perfume from the flowers filled the air. The guests stat down for their wedding breakfast and the Bride had arranged a special surprise present for the Groom – Jonny was given a little box and when he opened it he was in total shock as Bec had placed some photos of a new puppy she had brought and named Wosely after the venue – he has always wanted a second dog and so he was almost moved to tears – what a wonderful present. After dinner the Father, Groom and Best Men delivered very funny and heart felt speeches. Afterwards, Kate and I took the opportunity to take the Bride and Groom out into the field one last time as the sun was setting to take some lovely romantic photos in amongst the grass. I was so excited to be assisting Kate Hopewell-Smith at the wedding of Nick & Isabel at a gorgeous Saint Mary Magdalene church in Woodstock followed by the reception at Blenheim Palace. The weather forecast for the day was going to be gorgeous and sunny. 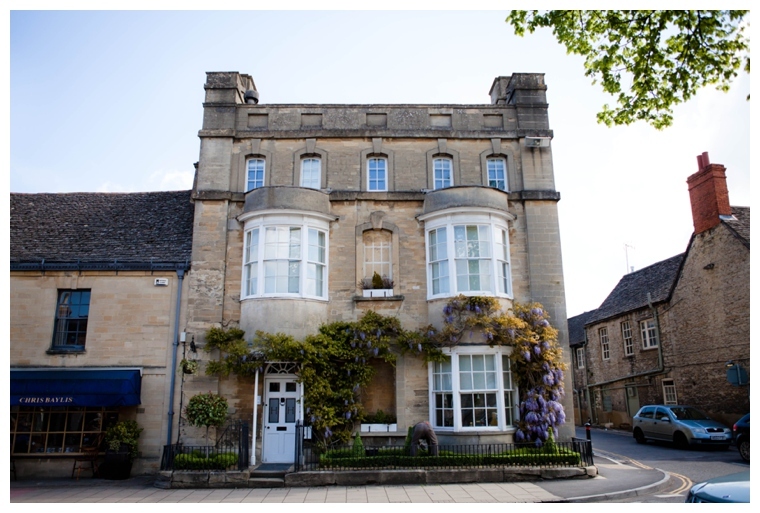 I arrived in Woodstock and all the spring flowers were in bloom with beautiful wisteria decorating the gorgeous stone houses along the sweet market town -it was picturesque and quaint. Kate and I headed straight over to Hope House Hotel where Isabel and her bridesmaids were getting ready. There was a flurry of activity and excitement for all the girls as they giddily moved from room to room making sure they had everything organised. Isabel was very calm and cool and was taking it all in her stride. She looked absolutely stunning as she put the finishing touches to her make-up. She couldn’t wait for her bridesmaids to see the dress which had been kept a secret – Isabel called the girls into her room to see the dress and they stood gasping at it and how stunning it looked. The girls all seemed so close and so happy for Isabel it was really sweet to witness. Kate and I photographed Isabel getting into her dress and then I headed off to the Church to meet Nick. The church was a short walk from the hotel and the Groom, Best Men & Ushers were all ready and welcoming the guests as they arrived. Nick seemed to be as cool as a cucumber and was really taking the day in his stride. We all headed inside as Kate walked with the Bridal party through Woodstock to the church for the ceremony. Everything was in place and she looked just perfect. The service was very sweet and heartfelt and the choir almost moved me to tears they sang so beautifully. After the service, Nick & Isabel raced off to Blenheim Palace in an open top car while the guests walked the short distance front the village along the sweeping drive up to Blenheim Palace. At the reception the guests drank champagne and listened to a string quartet while Kate and I whisked the happy couple off for a few lovely shots along in the amazing grounds of this stunning Palace. 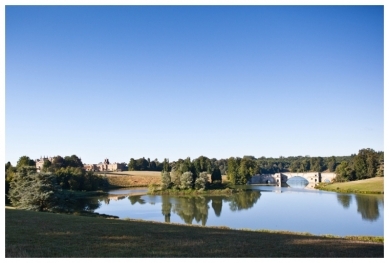 Kate is one of a select few Blenheim Palace wedding photographers and so she knew of all the really lovely places to take the couple for their romantic couple shots. It was truly a wedding fit for a Princess and Nick told us while we are going off that Isabel has said she wanted to get married in a Palace so it really was her dream come true. I was thrilled to be second shooting again for Kate Hopewell-Smith at Graeme and Amanda’s wedding. It was a sunny April morning and I headed over to Graeme’s mum’s house where I met up with Kate. We photographed the boys getting ready and Graeme opened a little gift Amanda had left for him. The boys were having lots of giggles in the garden and enjoying a glass of champagne. We then both headed over to Amanda’s parents home near Wendover, Bucks. On arrival Amanda was excitedly getting ready with her beautiful bridesmaids and her parents. 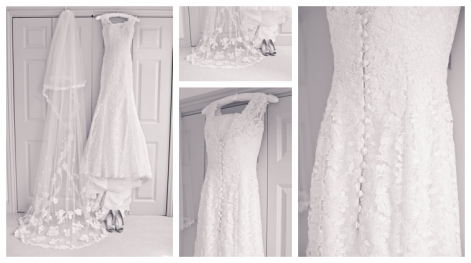 Amanda had a lovely eye for detail and had chosen a stunning dress, shoes and accessories along with beautifully coloured flowers for all the bouquets. Kate and I went about taking all the detail shots while Amanda was getting her hair and make-up finished before she was helped into her dress by her lovely mum. She looked amazing – the white dress looked stunning next to the Bridesmaids. A gorgeous vintage car arrived and we headed over to the Church for the service. Graeme, the best man and all the ushers were rallying all the guests into the church as I arrived and once inside Graeme looked a little nervous but his Best Man and ushers kept him laughing. Amanda entered the church to a choir singing and the emotion of the day was seen on many faces including the Bridesmaids who were very overwhelmed. After the service Kate took all the group shots in the grounds of the beautiful old church and then we all headed off to the reception at the gorgeous Hampden House in Great Missenden, Bucks. It is a quintessentially English country house estate situated in the heart of the beautiful Chiltern Hills. A harpist played as the guests arrived and drinks were served on the lawn. The reception room was absolutely stunning with every attention given to detail and colour scheme – it all looked so stylish. I was asked to photographer little Willow by her parents and to also capture some images of their little son who was 10 weeks old. We headed into a field filled with gorgeous purple and pink flowers and burnt grasses and spent some time playing in the field while the evening sun gently started to set. It was a really fun couple of hours and I cant wait to capture some more of little Bertie as he begins to grow. 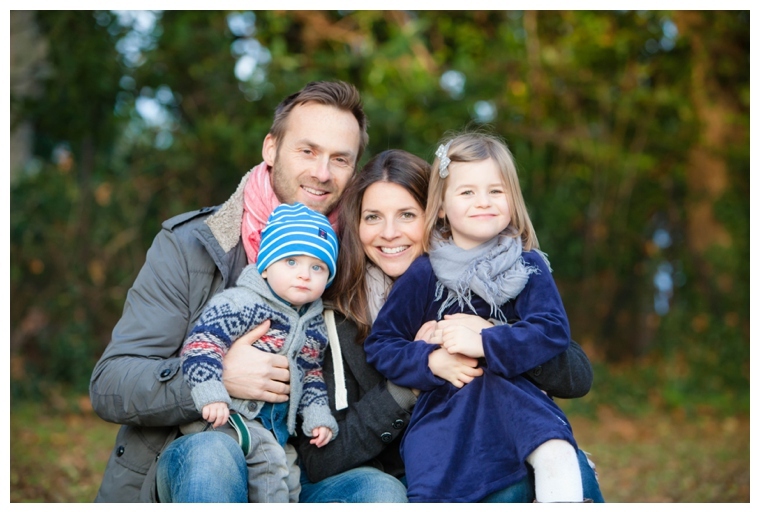 I was contacted by Sarah for a little last minute shoot before Christmas of her two adorable children Millie & Max. As the autumn weather has been so glorious I was delighted to have the chance to use this beautiful light and the stunning colours of the season and photographer two really cute little ones. I met Sarah and her family at their house in Marlow and we headed over to a near by park. I had brought a couple of props along as you never know if they will come in handy and also because little Max wasnt yet walking so I have brought some things he could hold on to along with a picnic rug and a trailer. Millie was very excited and was full of energy and little Max was rather inquisitive by all the interest. They were both really sweet and despite it being sunny it was pretty chilly and they both did really well. They were an absolute delight to be around – what a lovely way to spend an autumns day….. I was delighted to be asked to photograph Marissa & Ed’s wedding which took place in the beautiful Windsor Town Hall with their reception at the gorgeous Queen’s Eyot which is a secluded four acre island on the Thames, a few miles upstream from Windsor and used to be the old Eton rowing club house only is accessed by its own private ferry. I hadn’t seen Marissa & Ed since their engagement shoot in the beautiful bluebell woods earlier in the year so when we met at the Queen’s Eyot to run through the day there was lots to catch up on. On the morning of the wedding I popped along to Brides parents house in the centre of Windsor. Marissa’s two brothers, their partners and children had flow in from Greece so the house was a hive of activity. Marissa was very calm as she sat having her hair done by Jess with the two little bridesmaids sitting nervously waiting for their turn. The gorgeous bouquets supplied from Lavender Green in Windsor, the family prepared to leave and Marissa slipped into her beautiful dress from Monsoon. I jumped in the amazing vintage car from Henley Classic Car Hire along the bridesmaids and headed over to meet Ed at The Town Hall while the car went to fetch Marissa and her father. It was just after the changing of the Guards by Windsor Castle and we were worried about the traffic but it all cleared and we made it in good time. The little bridesmaids giggled excitedly in the back. All the guest were starting to file in while Ed and his Best Man sat anxiously waiting at the front for Marissa’s arrival. The time had arrived, Henry (a family friend) played the piano as an excited Marissa and the Bridesmaids entered the room. It was a very emotional service with two lovely readings from both Marissa & Ed’s sisters and a solo piano piece played by Henry at the signing of the register which was beautiful. After the service, the guests walked down to the river where they were greeted by a glass of champagne and boarded one of the French Brothers boats for their journey to the Queen’s Eyot. Ed is from a musical background and both he and his father sing and play many instruments and have many musical friends one of which was on the top deck playing the saxophone beautifully while we sailed off along the Thames. At the reception the guests chatted on the veranda and the children played with the garden games on the immaculate lawn before heading in for the wedding breakfast. The room was awash with the most beautiful floral arrangements I have ever seen which were supplied by Lavender Green in Windsor and looked just stunning. The amazing cake supplied by their friend Lyn stood proudly in the corner while the guests tucked into a delicious hog roast feast. After the meal Ed, Marissa’s father, Ed’s father, Ed’s sister and the Best Man all delivered really heart felt speeches which were very emotional. The couple cut the beautiful cake and headed onto the dance floor for their first dance sung by Ed’s Father and a few of their talented friends. It was a perfect end to a perfect day. Thank you to Tori Deslauriers for all your hard work and assisting me on the day. I was very excited about photographing the fashion shoot for the winter edition of The Little Book Magazine which is a gorgeous local families magazine that focuses on family talking points, local events and things to do in your area along with lots of interesting articles about family holiday, local restaurants and much more useful information. The magazine covers the Windsor, Eton, Ascot, Marlow, Henley, Beaconsfield and Gerrards Cross areas. Jemma Slevin, the Editor-in-Chief of The Little Book Magazine and I had a meeting at the end of the summer to discuss ideas for this issue – we both wanted to incorporate the rich colours of the autumn children’s fashion this year in a fun captivating environment so came up with the concept of shooting it at one of the gorgeous Carters Vintage Steam Fun Fair which travel around the country throughout the year. We picked a date and headed off to the Carters fair in Engleford Green. Our models for the day (Henry, Sophie, Charlie & Willow) were absolutely brilliant – there was a lot of temptation around with all the rides and candy floss but they happily tried on the different outfits and smiled throughout the session – enjoying a few of the rides as we wondered around. Jemma styled the shoot with amazing clothes from I Love Gorgeous, Aquscutum, Zara kids,Daniels Department Store in Windsor, Joules and Marie Chantal. 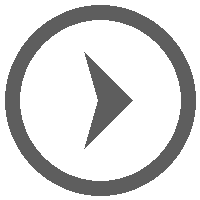 It was lots of fun and I would highly recommend visiting the gorgeous Carters Steam Fair if you havent already – its a great day out for children and a trip down memory lane for parents. The Little Book is available in many local shops along with all the large Waitrose stores in Beaconsfield, Gerrards Cross, Windsor, Marlow, Henley and Ascot. 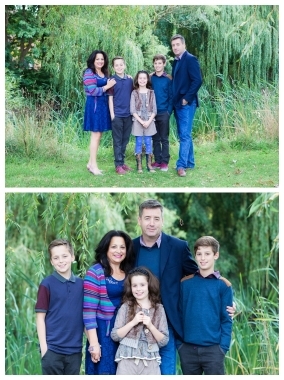 Last month I arranged to meet a lovely family near my home for a family photoshoot. It had rained in the morning and I was worried we would have to cancel the shoot however, it cleared up and by lunch time it was perfect light conditions. Mark & Tizzy’s children are a little old than most of the families I photograph so I was excited by the challenge of capturing young teens. We met at the pub and headed off on a walk passing a gorgeous pond with beautiful weeping willows and then into an old orchard and into a lovely field. The children were absolute stars and overcame their initial shyness quickly as we laughed our way around the field stopping to capture some fun along the way. Everyone had a wonderful afternoon and I was so please that I managed to capture this gorgeous family in such great light. I had a call from Tizzy the day she received the images to say that she loved them so much they reduced her to tears and for me that it why I love this job so much – it is about being able to capture those one off moments and freeze them in time so that you have some really lovely images to cherish for many years to come……. A couple of weeks ago Jemma (Editor of The Little Book) and I headed over to the Carters Vintage Steam Funfair in Engleford Green Berks where we met 4 beautiful and very excited children. If you haven’t yet discovered the Carters Vintage Steam Fair it is well worth a look. The families that own it are all so lovely and the fair itself is just beautiful – it really takes you back in time to the old school rides and allows you to be a big kid again. I have been working on all the images and yesterday Jemma came over to pick the final images for the autumn edition of The Little Book Magazine which is a local families magazine covering Windsor, Eton, Ascot, Marlow, Henley, Beaconsfield and Gerrards Cross. 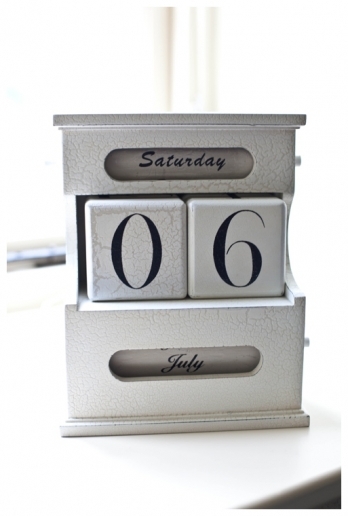 Here is a little taster of the gorgeous fair…. I cant wait to share all the images with you once the book has gone to print in a couple of week……watch this space……. Ross & Lucy’s wedding – featured on Whimsical Wonderland Weddings Blog…. Really excited to see one of my weddings featured on the lovely Whimsical Wonderland Wedding blog today. Ross and Lucy’s wedding was so much fun – a really relaxed and happy day filled with lots love and laughter. Thank you to Lucy for submitting her special day to WWW and thank you to Lou at WWW for featuring such a happy and colourful day. WWW readers Lucy & Ross had a happy & relaxed summer boat wedding in Bath. Just delightful. Thanks to Nikki Sheffield Photography. I am very excited to have taken delivery of my new albums. I offer a range of products but I do particularly adore these timeless contemporary albums which I individually design using your beautiful images from either your wedding day or lifestyle session or boudoir session. 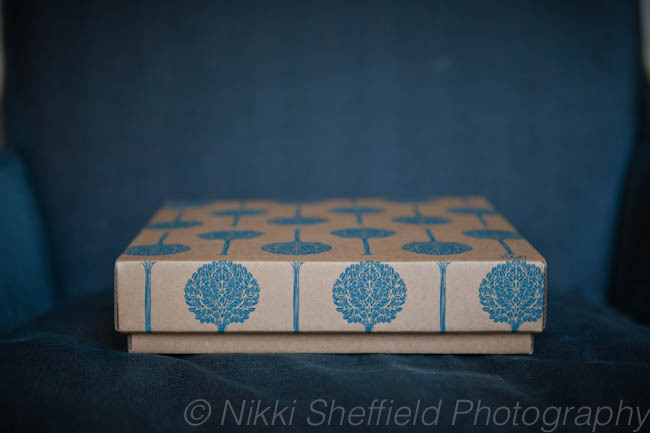 These beautiful handmade, leather bound albums come with a choice of colours to match your taste and are printed onto thick archival paper and inks which will preserve the images from your special day for future generations to also enjoy. I hope you love them as much as I do….. I was lucky enough to have been invited by my very dear friend to join her on a Spa day at the absolutely stunning Coworth Park Hotel & Spa in Ascot, Berks. The hotel is set in the most beautiful countryside surrounded by gorgeous fields of poppies and makes an ideal venue to host a wedding. There is a marquee in the grounds for the wedding reception or the use of the Barn and it is only 45 minutes from London. The spa experience itself was wonderful and we felt like we were in heaven – fantastic treatments, extremely tranquil and very relaxing. What a way to spend a Sunday afternoon – I have the best friends….. I met up with Lucy & Ross a while ago to discuss their intimate wedding in Bath in July at the Guildhall and with the reception at the gorgeous Bathwick Boatman restaurant which is one of my favourite venues in Bath and is situated above the old rowing boathouse directly on the river Avon. They were such a relaxed and sweet couple who have a gorgeous little boy called Rory – their day sounded so lovely that I couldn’t wait for it to come around. ON the big day Lucy got ready at home with her mum, son and bridesmaids and I met the wedding party at the Guildhall. Ross and his Best Man seemed extremely calm and all the guests settled in before Lucy and the wedding party arrived. It was one of the hottest days of the summer but everyone seemed relaxed but excited. Lucy and her bridesmaids look absolutely gorgeous as did little Rory. The beautiful peach colours of the bridesmaid dresses along with the gorgeous mint shirt of little Rory highlighted Lucy’s stunning Monsoon dress perfectly. After the service we all headed to Bathwick Boatman which has a warm, friendly, relaxed feel and was decorated with bunting and beautiful flowers that Lucy’s mother had arranged. There was a brilliant acoustic duo playing lead by Sam Eason as the guest arrived and enjoyed Pimms on the terrace over looking the glorious river Avon glistening in the sunshine. The speeches were extremely emotional and had everyone both laughing and crying. They are such a special couple and so matched everyone was just so happy for them it was lovely to witness. After the wedding breakfast the Bride & Groom had organised a river tour with the Bath Boating Company which took the party along the river to the weir and onto the centre of Bath which was stunning. Everyone had the most wonderful and happy day it was such an honour to have been a part of it…. A couple of weeks ago I was lucky enough to go along to Christine Maciocia’s second styled shoot. It was set in the gardens of a stunning Edwardian Mansion in Buckinghamshire. I was extremely excited as Christine is the most amazing event stylist and all her styling is always so beautiful but nothing could prepare me for the stunning scene that awaited. I arrived and headed over the a beautiful walled garden lined with rows of fruit trees set back from the main house but next to a lovely converted barn. When I saw the table Christine had created it nearly took my breath away – it was so romantic and beautiful and would make a stunning top table for a wedding or a vintage birthday party with your girlfriends or a christening or any special occasion – it was really a work of art and with the back drop of the old stone walls and the lines of fruit tress you could have been transported to a rural vineyard in France. The models arrived and two little twins called Rosie and Delilah and their big sister Lily along with two gorgeous little brothers called Joe & Sam who were all little stars throughout the afternoon and enjoyed dressing up and playing make believe in the magical gardens. I want to be transported back there now…….I hope you enjoy the images from the day….. Thank you again Christine letting us into your creative world……If you are looking for an event stylist for any occasion then I would definitely recommend you get in touch with Christine for a unique look to your event….. I was delighted to hear from Emma who was expecting a baby in early July. She contact me to ask whether I could come over a few days after the birth to capture a few images of her little ones first days so when I finally got the call last week to say that she had had a little boy called Bertie I couldn’t wait to pop over and meet the little man. I arrived to a very calm and peaceful house. Emma looked relaxed and happy and baby Bertie was sleeping soundly. I couldn’t believe how little he was – at just under 7 lbs he looked like an angel fast asleep, perfect features, lovely black hair and teeny weeny feet and hands. 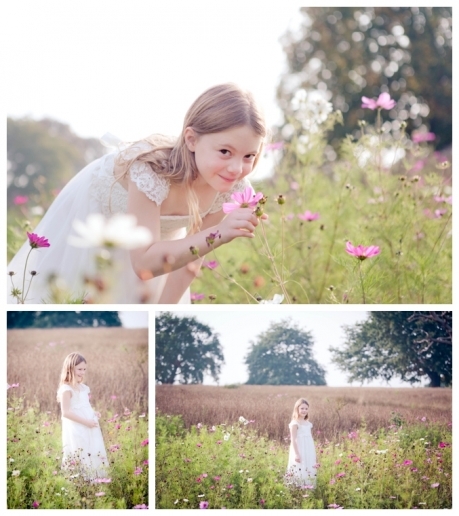 So gorgeous…… He was a little star throughout the shoot and I think I may have even got a little smile at the end…….. I can’t wait to watch this little man grow he is adorable.